It has often been said that we simply don’t have politicians like Tony Benn around now, but in a world dominated by spin and hidden agendas, I don’t think we have many people like him in the whole world anymore. How many people do you know that are inspiring, principled, eccentric, rebellious without any hidden agenda or ambition? These days it often feels like governments will bend over backwards to show you how cool they are and down with this kids by telling you their favourite bands or even invite the Blur and Oasis around for tea at Downing Street but all this is nothing but a transparent show to convince the voters how great it is to be part of ‘Cool Britannia’. 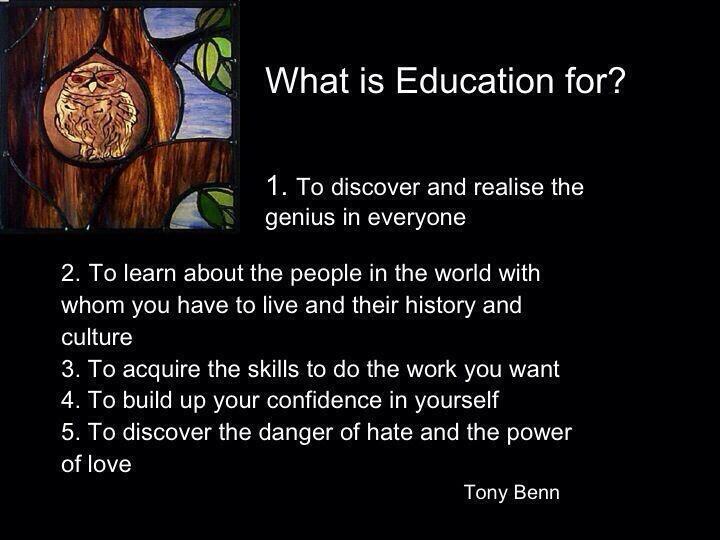 Tony Benn was one of those characters, that even if you completely disagreed with his opinions, you could respect him, because he always stuck to his core principles. Honesty and integrity were always paramount, which is an alien concept when thinking of politicians today. He also turned up at the Leftfield tent at Glastonbury every year and captivated crowds of all ages, even when in his 80’s he turned up to recharge his mojo, which is something many MP’s could learn from now. There was never an agenda, other than getting people to understand that ultimately we are all the same and we can build a better world together. Although known for his sharp political mind and even sharper tongue, no matter what your political leanings are, you cannot help but admire a man who simply wanted to educate the world and show how we really all are the same and to ignore messages spoon fed by the media that everything is hopeless and we cannot change anything. How often have you heard the phrases “I won’t vote because they are all the same?” or “There’s no point it won’t make a difference”. This is exactly the kind of thinking that some in power might want the masses to think and his big passion was educating people that we really can make a difference and our only true enemy is apathy. When I think of Tony Benn, I think of a man who gave a voice to those less fortunate and stood by those principles all his life. Another interesting video can be found online entitled “In Conversation: Tony Benn & Nicky Wire of the Manic Street Preachers” and once again it doesn’t take long until you find yourself captivated by this man who has so many stories to tell and lessons to teach anyone who is willing to spend a few minutes and listen. In Conversation: Tony Benn & Nicky Wire of the Manic Street Preachers from theQuietus on Vimeo. My favourite Tony Benn story is the tale of how he erected a secret plaque in a Westminster broom cupboard at the House of Commons dedicated to a suffragette. 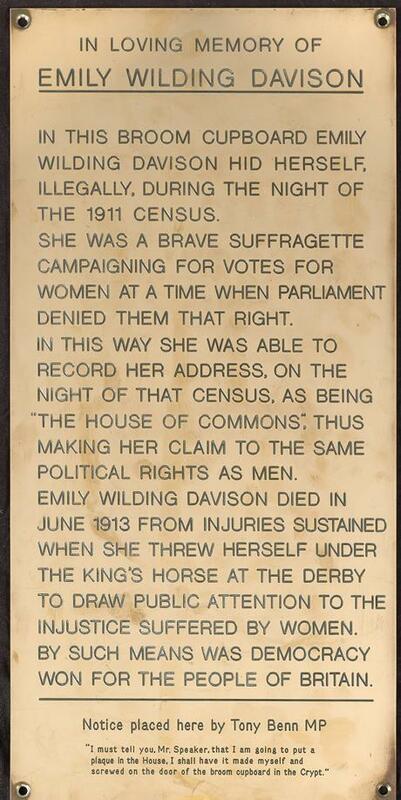 Emily Davison had hidden in a broom cupboard in Westminster during the 1911 census, so that when she was asked for her address that day, she was able to say that it was the House of Commons. Davison died two years later after throwing herself beneath a horse which was running in the Derby in a bid to draw attention to how women were being treated. I will remember Tony Benn for being passionate, eloquent, witty and mesmerising but equally free of rhetoric and someone who preferred to speak to everyone he met in a language they could understand. Finally how could we forget the lost art of smoking a pipe right up to the end of his 88 years with a nice cup of tea and I cannot think of a more fitting tribute than that.